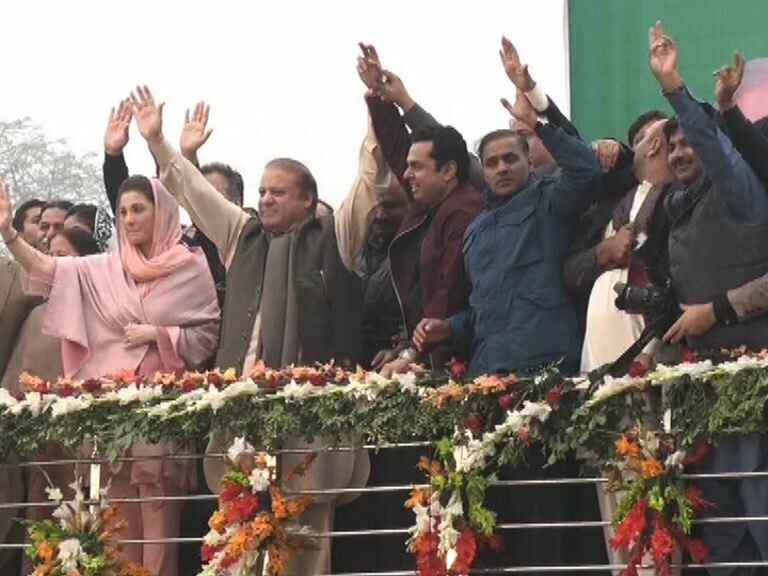 The Lahore High Court has directed electronic media watchdog to monitor “anti-judiciary speeches” and decide on complaints filed against ousted prime minister Nawaz Sharif, his daughter Maryam Nawaz and other leaders of the PML-N. The order came on Monday in response to petitions accusing the PML-N supreme leader and his daughter of targeting judiciary in their speeches. A three-member bench headed by Justice Muzahir Akbar Naqvi heard the case. During the proceedings, Pakistan Electronic Media Regulatory Authority was directed to decide on complaints against “anti-judiciary speeches” within 15 days. Advocate Azhar Siddiq, a counsel for complainant, argued that contemptuous speeches of Nawaz Sharif and his daughter Maryam Nawaz being aired by news channels are a contempt of court. The Sharif family is blatantly criticizing the judiciary after the Panama Papers verdict, he said. PEMRA’s counsel Salman Akram Raja told that the authority had rejected the applications. The court said that the petition was dismissed by PEMRA on technical grounds and this gave an impression that permission was granted to air anti-judiciary speeches. Nawaz Sharif’s lawyer said that PEMRA was bound to follow its code of conduct and that Supreme Court (SC) had not taken any notice of this issue. Subsequently, the court directed PEMRA to strictly monitor the speeches.